We are offering Chain Wheel. Especially crafted using high-quality raw materials the Chain Wheels, we manufacture are used in a wide variety of industries for various applications. Designed in compliance with the international quality standards, this wheel is available in diverse sizes and at very affordable price for the clients. 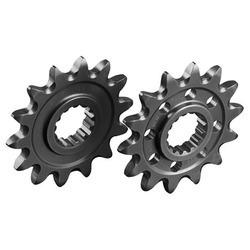 We are offering Chain Sprockets which is manufactured keeping in mind the set industries standards. The offered chain sprockets are designed by utilizing top-ranked unfinished material & contemporary technology. Our offered chain sprockets are accurately developed according to the market standards. 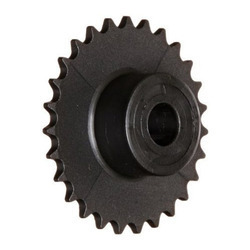 We have the quality department who keep all the records of the quality of these chain sprockets during the manufacturing process for delivering flawless range. Necklace sprockets made up of chain plates and individual tooth sections for turning large drums or tables. Looking for Chain Wheel and Sprockets ?